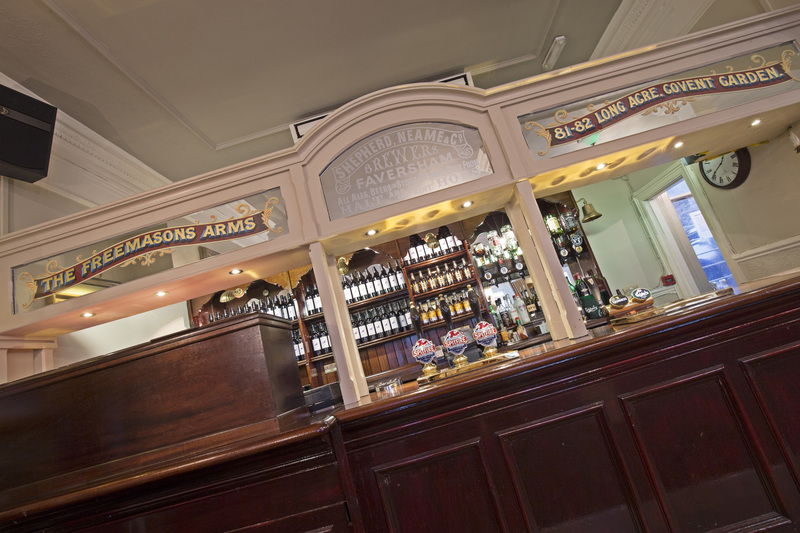 The Freemasons Arms is a lasting tribute to the founders of the Football Association. The pioneers of soccer met at the original Freemasons pub over six evenings in the autumn of 1863 to thrash out the laws of a game now played in more than 200 countries across the globe. Today, we celebrate our place in history with a great display of Football Association memorabilia. This is also a great place to watch today’s football, with six high definition plasma TV screens featuring all the top matches as well as other big sporting occasions. So if you're a fan of football, or a fan of history, you'll find a lot to interest you here.